Your personal cross walk, where ever you go! 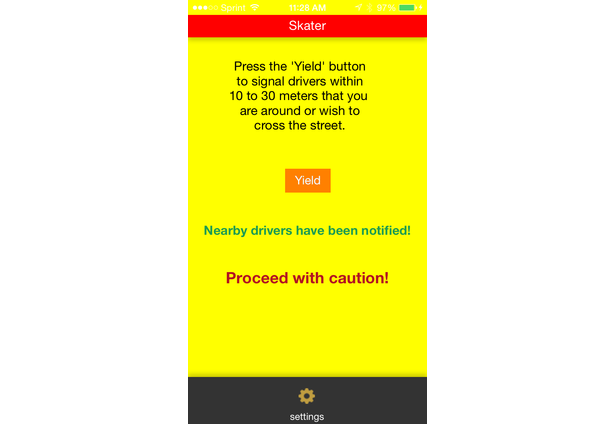 Yield is a mobile application that utilizes BLE technology for cars and pedestrians to automatically detect each other when they are within 10 to 30 meters. 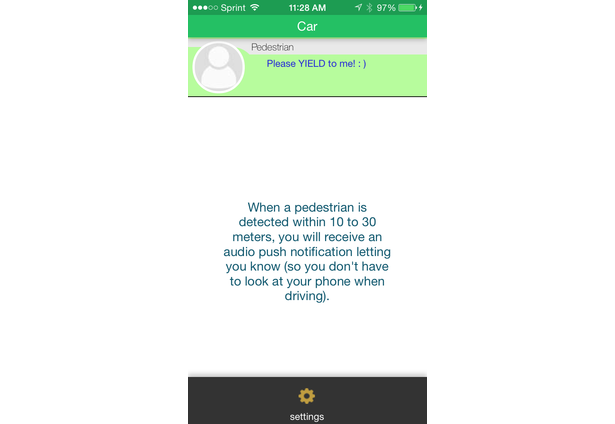 the app will automatically scan for pedestrians while your driving. 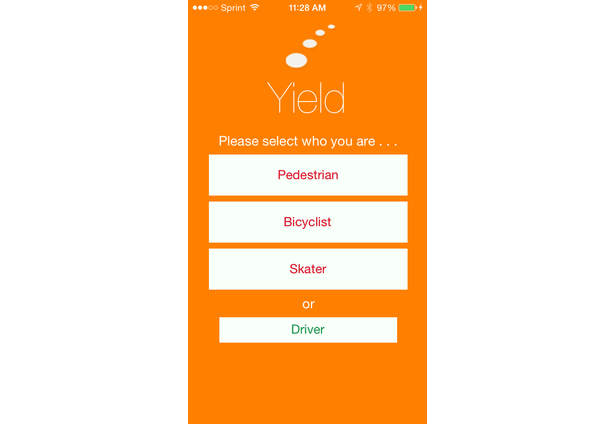 when signed in as a ‘driver’ and your not driving (ex: at a red light or parked), you are brought to a simple list view which displays a list (count) of pedestrians/bikers/skaters in the area, so you know to be careful when you pull away (and you know what TYPE of pedestrian to be AWARE of). This algorithm for an automated BLE proximity-based solution (without the need for bluetooth 'pairing’), has a faster detection/response rate and is much more energy efficient than any location-based service algorithm (GPS, check-in, etc.) currently utilized in the market, for any industry. NOTE: This solution is to be utilized by BOTH drivers and pedestrians, however I am unsure as to which ‘type’ to submit as (but it is definitely for both). 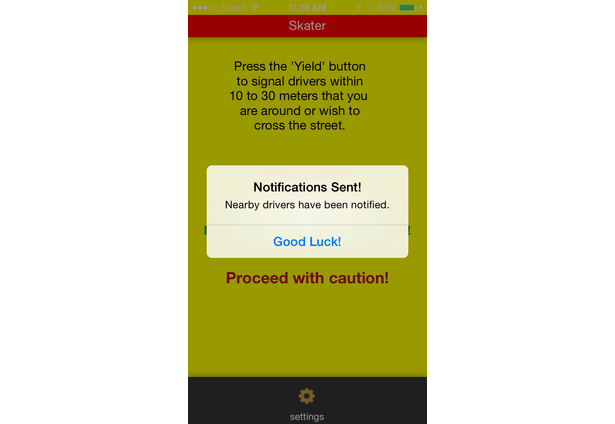 Hence, I am submitting this solution TWICE, once for each type: ‘Solution for drivers’ (Yield! (d)) and ‘Solution for pedestrians & cyclist’ (Yield! 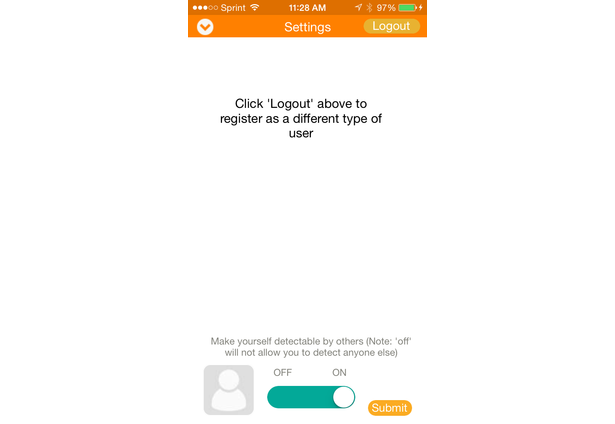 (p)), as this app is meant to be utilized by both for automated detection. I would like to make you aware of this, as to be sure I am not disqualified for submitting the same solution twice. Comments for this submission are closed. 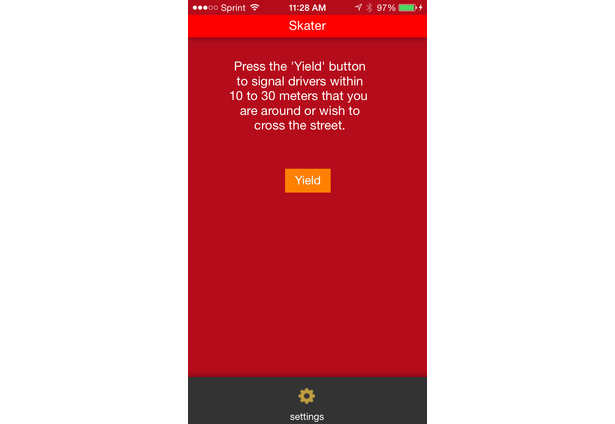 View the software in greenhouse's portfolio to continue the conversation.